Packing for international travel can be challenging. You’ll want to balance comfort with a respect for local culture and customs. Different types of clothing are appropriate for different settings. For example, consider the gym, church, and prom. You wouldn’t be able to exercise comfortably, effectively, or safely in a ball gown and heels. And you probably wouldn’t go to your place of worship wearing basketball shorts, an old t-shirt, and sneakers. Similarly, packing only short shorts and leggings could mean that you won’t be able to enter the breathtaking temples of Southeast Asia and you’ll likely be very cold on your trek up Mt. Kilimanjaro. This also applies to boys, who may not be able to wear shorts or sleeveless shirts in many settings, depending on the culture. Respecting Culture: If you’re participating in culturally-immersive travel and visiting local communities, the population likely does not wear clothing that shows their knees / thighs, shoulders, midriffs, or chests. In order to respect local cultures and people, we ask that you adhere to these cultural norms while traveling. Protection: Keeping your legs covered helps to protect you from insect bites and from scratches while trekking, doing service work, or running around having fun. Safety: Women are making it clear that their clothing choices should not result in unwanted attention. While it’s important to understand that your clothing choices don’t give anyone the excuse to act inappropriately toward you, we want you to be conscious of the how your clothes may be perceived culturally as you travel. If you’re uncomfortable covering your legs in a tropical climate or opposed to having to change the way you dress for someone else, that’s OK. Our Program Leaders will be there to talk to you about how you’re feeling, how to adjust to these conditions, and why it’s important. You may even have the opportunity to shop at local markets to buy clothes that are designed specifically for that climate and culture. You can learn the significance and history of local attire. You will talk about what it feels like to be in a foreign context and to respect to local customs. Perhaps you’ll leave your program with more empathy for newcomers to your home country and their struggles upon arrival. Perhaps you’ll leave impassioned to change your school’s dress code. Perhaps you’ll leave with a new favorite pair of pants. Our packing lists are intended to keep you happy, safe, and comfortable in our destinations. 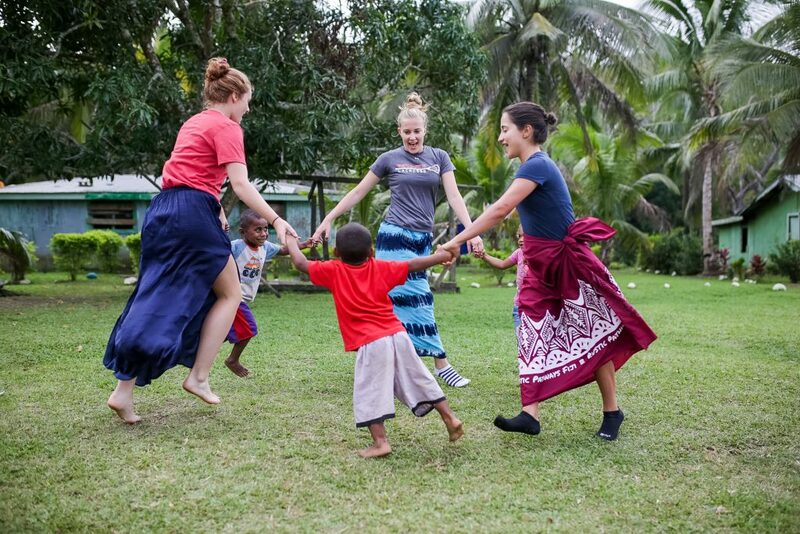 We ask that you leave for your program with an open mind and a willingness to respect local cultures. Try KUHL splash 11-inch shorts, prAna Larissa knickers, or Champion mesh shorts. Bring a big, lightweight scarf or wrap to cover your shoulders if you want to wear a sleeveless, low-cut, or open-backed top. It can also be used to cover your legs if you want to wear shorter shorts or leggings. Pack compression shorts / spandex shorts to wear under skirts or looser bottoms to avoid the chaffing that may occur in hot, humid climates. Long skirts made of light fabrics are a great idea for hot, humid climates, but see tip No. two. Some examples: Kavu Sanjula skirt or Old Navy midi skirt. For more info about packing, check out Rustic Pathways Travel Experts Share Their Best Packing Tips and What Rustic Alumni Wished They Would Have Packed for Their First Trip. Connect with one of our global program experts to find the right spring break or summer teen travel program for you.